I was guided to First Endurance by my coach 3 years ago. Racing ultra endurance mountain bike events, my training volume is quite high, averaging well over 20 hours per week. With this amount of training stress, I have found the need to build quite a large supplement regimen. When I began using the Multiv-Pro, I was able to simplify my nutritional program. This product has everything that was suggested to me by the nutritionist I've been working with. I'm also impressed by the research behind the product, giving peace of mind that it is a safe, effective product to use daily, and year round. Joined up with a cycling team sponsored by 1st Endurance. Prior to using the product it could almost count on falling ill every 3-6 months due to intense training programs and exhaustion of the body. After now taking this product for the better part of a year, not only do I have the energy, but have yet to fall ill (knock on wood) and have been able to increase overall endurance levels due to the lack of setbacks and I'm sure the product helps me along. I highly recommend the product! I'm 35 and have NEVER felt better during the middle of a season than I do now. I've been using the new MultiV Pro for 6 months (right before bed to aide absorption) and feel great. Thank you for the new product! This vitamin is superior to any other product of its kind on the market. It is as important to me as my Optygen HP!! I used the MultiV-HP for June and July. I only train for swimming indoors and have had my success hampered by a life-long battle with asthma, chronic bronchitis, pneumonia, and other lung and sinus infections that usually kick in when I maintain more than 120,000 yards per month. In June, I trained to 280,000 yards, and in June, I went 251,000 yards. I average 10K per day. For the first time in memory, I was able to focus on my swimming without respiratory issues. Coincidence? I think not! First Endurance has created an awesome vitamin! MULTIV-PRO delivers a number of unique benefits in one powerful endurance formula. It provides the most bioavailable vitamins and chelated minerals available, including a full-spectrum antioxidant and polyphenol blend and key nutrients, like ginkgo biloba and green tea extract- all of which have been shown in clinical studies to improve performance. This is the first multivitamin to deliver a clinically effective dose of 1-3, 1-6 Beta-glucan to strengthen the immune system so athletes stay healthy following intense training and racing. Endurance athlete’s digestive systems are often compromised by the stresses of hard training. MULTIV-PRO contains important enzymes, probiotics and prebiotics to help the absorption of nutrients and enhance the health of intestinal flora. Oxygen carrying capacity is critical for training and racing at an elite level. That’s why MULTIV-PRO has a clinically effective dose of Iron Amino Acid Chelate to ensure peak oxygen carrying capacity. Beta-glucan can come from various sources, yet not all of these are equal. First Endurance uses the ONLY yeast derived (saccharomyces cerevisiae) 1,3/1,6 Beta-glucan. Clinical studies on endurance athletes show a decrease in upper respiratory tract infections while reducing the risk of illness and infection associated with hard training. MULTIV-PRO uses a unique form of iron called Ferrochel®. This iron source is organically bonded to amino acid chelates (AAC), forming a highly stable bio-available bond. Unlike iron as ferrous fumarate, iron AAC does not compete with the absorption of some minerals like calcium. In addition, there are no toxicity issues so it’s also very safe. The stress of training can damage intestinal ora and compromise the digestive system. Keeping the diges- tive system healthy leads to enhanced bioavailability, better nutrient ab- sorption and improved performance. Distance runners, competitive cyclists, elite triathletes or any other kind of endurance athletes require a vast amount of caloric intake to maintain optimal hydration and energy levels. This alone puts a lot of stress on the gastrointestinal (GI) tract. On top of that, endurance athletes frequently experience GI issues during training and racing. Research shows that up to 70% of athletes experience some GI difficulties at some point of their training or racing. MULTIV-PRO contains 1400 mg of four key digestive enzymes. When hard training athletes consume higher amounts of calories, digestion can be compromised. The digestive enzymes in MULTIV-PRO enhance the rate that nutrients are broken down and can help increase blood glucose, leading to enhanced performance parameters. Use Directions: Take four (4) tablets with your pre-exercise meal. Or take two (2) tablets with an AM meal and (2) tablets with a PM meal. Other Ingredients: Cellulose, dicalcium phosphate, croscarmallose, silica, vegetable stearate, magnesium stearate. Q: How does the new MultiV-PRO differ from the regular MultiV? A: The new MultiV-PRO is designed for extremely hard training endurance athletes. This upgraded formula uses a clinically effective dose of 1,3-1,6 Beta-Glucan and is supported by a significant volume of research on promoting a healthy immune system. It contains 50% more Iron amino acid chelate and an endurance-specific pre & probiotic blend to aid in the digestion of micro and macro nutrients. Also, because of the recent research showing the detrimental affect of too much vitamin C & E, it’s also the first Multivitamin that doesn’t have vitamins C & E, yet still offers a blend of polyphenols for oxidative support. Q: How does MultiV-PRO differ from other Multivitamins? A: Endurance athletes put a lot of stress on their body so they have significantly different needs and requirements than the general population. Because of this, higher levels of micro-nutrients are required in order to avoid overtraining and other ailments. If these unique requirements are not met, the immune system, digestive system and cardiovascular system all become compromised. The new MultiV-PRO delivers clinically effective doses of of essential nutrients like Iron amino acid chelate, 1,3-1,6 Beta-Glucan, Gingko Biloba, a polyphenol blend and pre and probiotics which are not found in any other multivitamin. Q: What is Beta Glucan and what does it do? Q: When should I use MultiV-PRO instead of MultiV? Q: What are pre and probiotics and how do they help my endurance? A: Endurance athletes require more calories than average people in order to fuel their training. This, coupled with the stress of everyday life, can compromise your digestive system and negatively effect the absorption of all micro and macro nutrients. Prebiotics are non-digestible oligosaccharides that can stimulate and regulate the growth of probiotic microorganisms and, over time, improve nutrient absorption and health. Probiotics are digestible microorganisms that can alleviate symptoms of lactose intolerance and treat or prevent diarrhea. Read more on what this means to your performance here. Q: Do endurance athletes require more Iron than other people? A: The new MultiV-PRO contains 150% of the RDA daily value of Iron because research shows 30-50% of endurance athletes have depleted iron levels. When iron levels are low, less oxygen is delivered to the muscles and aerobic capacity declines. To ensure peak performance, the new MultiV-PRO is formulated with a highly bioavailable Iron Amino Acid Chelate that’s also gentle on the stomach. Consuming more than 100% of the RDA of Iron is not recommended for the general public. For hard-training endurance athletes, however, Iron and blood ferritin is often compromised and can therefore limit oxygen carrying capacity and endurance performance. Consuming 150% of a highly bioavailable Iron amino acid chelate is not only safe for endurance athletes, it’s recommended and highly beneficial. 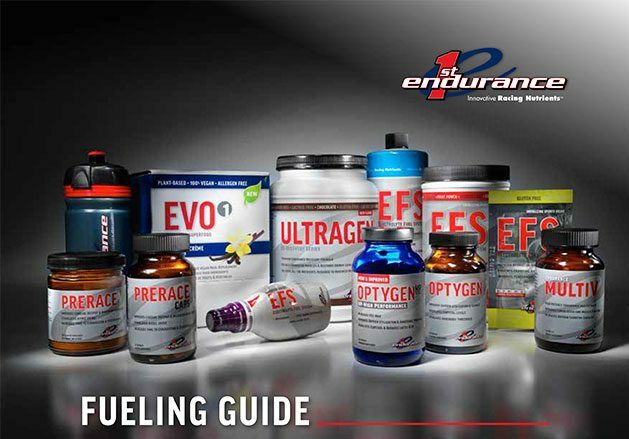 First Endurance offers everything an endurance athlete needs to maximize endurance and performance. We designed it to work as a complete endurance system. Each product has a specific purpose and complements the others. With First Endurance, there’s no more guesswork.